Can he ring without moving his arms? 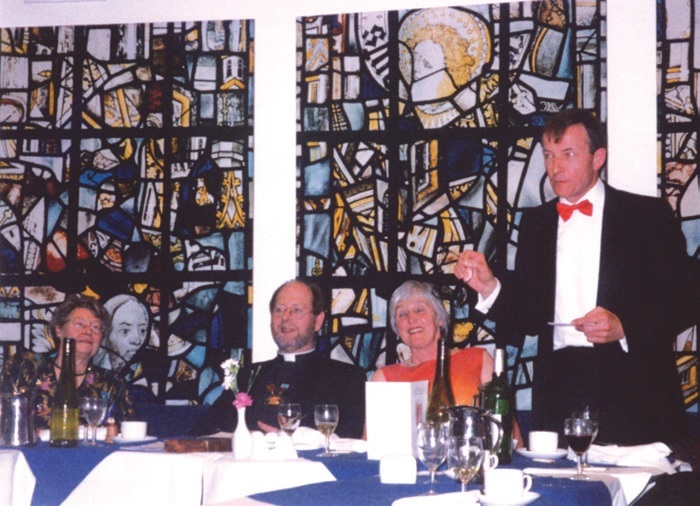 Canon Barry Fry, the Master of the Winchester and Portsmouth Guild, was asked by the speakers following the Annual Dinner. 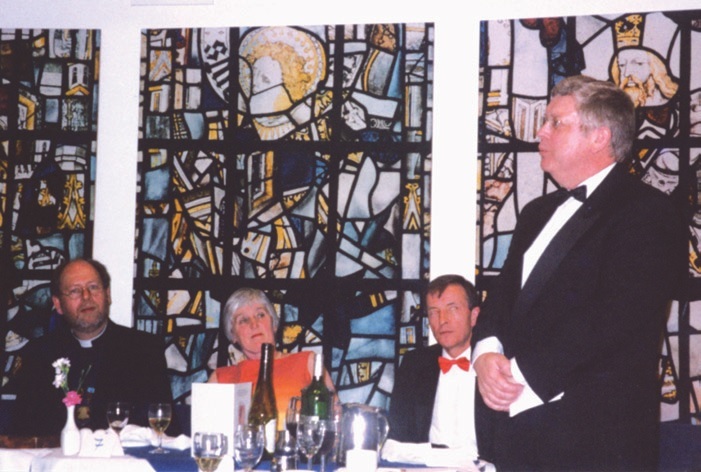 David House proposing the toast to the W&P recounted some of his early experiences in the Guild before he settled in Brighton. 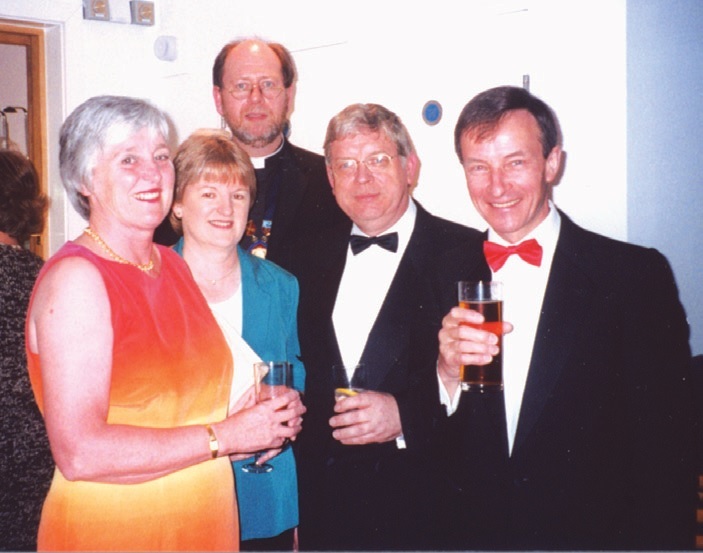 The stories covered all the well-known local ringers at dinner, [and a quite a few not present]. Chris Kippin, whose father had had a mention or two by David House, replied for the guests. He proposed a Quango, to be known as OFRING, to oversee the performance of Ringers Associations and Guilds, with powers to assess and discipline Officers of the Associations and Guilds. He delighted in imagining the detailed application of the powers of OFRING, with more illustrations of who might be inspected, and by whom. The Cathedral Refectory welcomed the seventy members, partners and guests to the traditional high standard of catering.